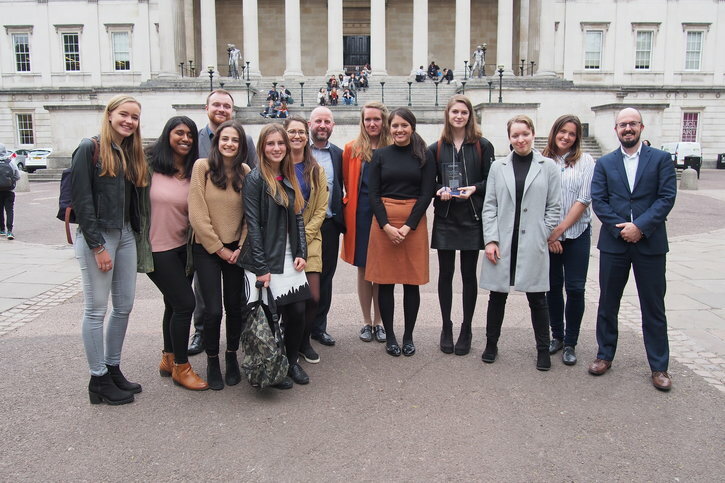 Students from Notting Hill & Ealing High School won the ‘Contribution to the Business’ Award at the Engineering Education Scheme’s recent Celebration Assessment Day. The group was mentored for six months by one Network Rail and five Taylor Woodrow employees. The students took on a real-world engineering task to carry out a BREEAM pre-assessment on plans to develop the train station at Southall, and to try and improve its rating within a budget of £100,000. Since October 2016, the mentors have met weekly with the students to help them research ideas. They have found ways of improving the station’s pre-assessment score from ‘Pass’ (41.6%) to ‘Excellent’ (73.01%). The students’ work was so good that our team challenged them to pitch their ideas to Crossrail. Crossrail were impressed with what they saw and plan to take some of the ideas such as the proposed Building Management System forward for use.